Susan Hamre, MA, CCC-SLP, is an ASHA certified speech-language pathologist with over 40 years of clinical, teaching and research experience with autism in the home, school, hospital and community settings. She owns and manages a private practice in Santa Fe, New Mexico that serves individuals from infancy to adulthood, with an emphasis on Early Intervention, autism and various other challenging conditions. A clinician at heart, Susan has personally provided treatment for children as young as nine months, on up. She has had the pleasure of working with some individuals and their families for over 20 years. Susan is a national presenter teaching treatment strategies for autism to rehab professionals, mental health clinicians and educators. She provides autism trainings to First Responders (Crisis Intervention Teams, firefighters and EMT. 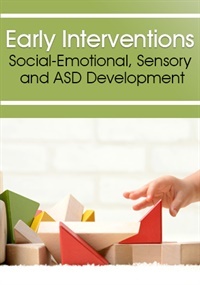 Susan was the Director of the Autism Training Center at Giant Steps in Illinois, where trained first responders, transportation systems, park districts, small and large venues, nursing colleges, medical centers, parent groups and public school systems. Years of professional experience backs up her ability to speak on this subject with conviction and passion. Susan has made five Operation Smile mission trips; four to the Philippines and one to Africa. While those trips were medical in nature (cleft lip and palate), on every one of those trips, she was privy to identify the existence of probable autism, then steering the families in the right direction. Those situations underscore her belief that with trained eyes, the unique set of characteristics that cloak autism can be spotted at a very young age, in all sorts of environments and even when the same language is not being spoken. Financial: Susan Hamre maintains a private practice. She receives a speaking honorarium from PESI, Inc. Non-Financial: Susan Hamre has no relevant non-financial relationship to disclose.